Dark circle is one of the major problems when comes to skin care. Most of the women have dark circles. So today you will know how to get rid of dark circles but first you have to know that what are the reasons behind of this major problem. These are the reasons of dark circles. You can't get rid of dark circles by just using some products or remedies. If you wants to reduce dark circles then you have to change your habits first. 1- Drink at least 4 to 5 litre water a day because water is extremely necessary for our body. It keeps our body clean and healthy and makes our skin glowing and beautiful. 2- Sleep at least 7 hours a day properly. 3- Don't stress your eyes too much. 4- Wash your face more and more during the day. 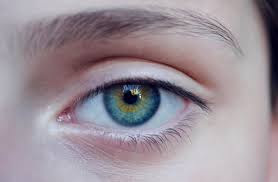 1- Take a cotton ball, dip into iced water or chilled water and place it on top of your eyes and leave it for 5 minutes. Repeat this again 2 or 3 times. Use this method daily will help to get rid of dark circles and it is extremely easy and cheap. 2- Take 100% pure coconut oil and apply it on your under eyes or around the eyes by using your fingers. Leave it over night and at morning wash your face as usual. Use this method daily and after 10 days you will notice significant difference. 3- Take half tablespoon of Aloe Vera gel. Add to this, 3 to 4 drops of Tea Tree oil and mix them very well. Apply this mixture around your eyes daily at night before you go to bed. At morning, wash your face with regular face wash. After using this remedy, you will definitely see the difference in one week. 4- Take a potato and wash it thoroughly with clean tap water. Grate your potato. Take around 1 tablespoon of grate potato and squeeze them very well to get the juice out. Apply this potato juice under the eyes by using cotton balls and leave them for 15 minutes. After that wash it with regular tap water. So, these are the tips that helps to reduce the dark circles. Give them a try and you will definitely get the results you want.